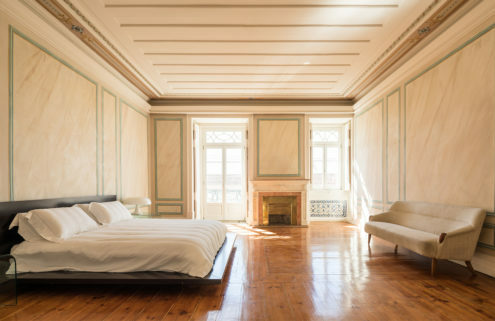 Lisbon’s restaurant scene has undergone a real renaissance in the last three years, with a host of new openings that combine the best of Portuguese cuisine with striking interiors in interesting locations, from former factories and converted bakeries to ancient palaces and Moorish courtyards. We’ve chosen our ten favourites. Lisbon’s leading chef José Avillez serves top-notch Portuguese dishes – including a must try blue lobster – in this bright, casual room. Set under huge roof lights, it’s light, open and surprisingly tranquil for such a large space. Chef António Galapito serves up a farm-to-table menu of local and seasonal produce in a tranquil space designed by Portuguese group Arkstudio, in collaboration with Marta Fonseca. 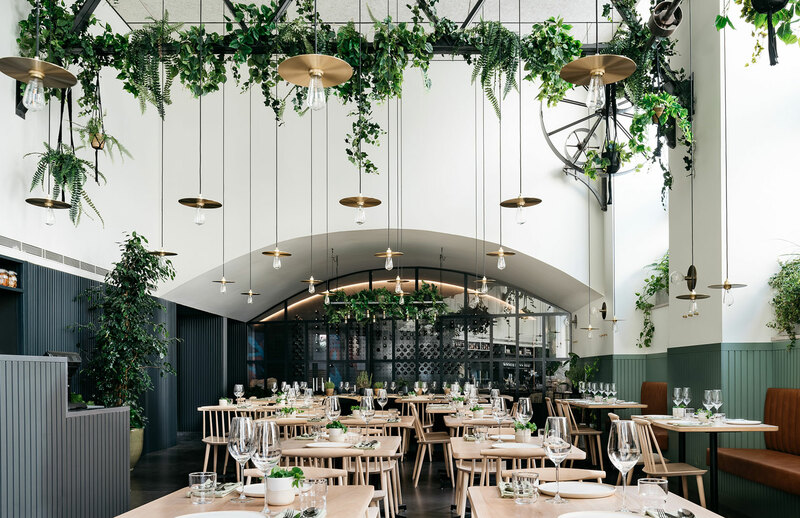 Based in a former factory that was once overgrown with plants, the Lisbon restaurant has a 6m-high ceiling that remains decorated with greenery. Materials such as marble, glass, wood and brass add warmth, while an abundance of wooden furniture means there’s a Skandi meets Portuguese vibe to the design. Simple but sophisticated interiors by British designer Jasper Morrison feature tones of blue, green and brown enlivened by details such as a white marble bar, brass cutlery and a brass drinks trolley. 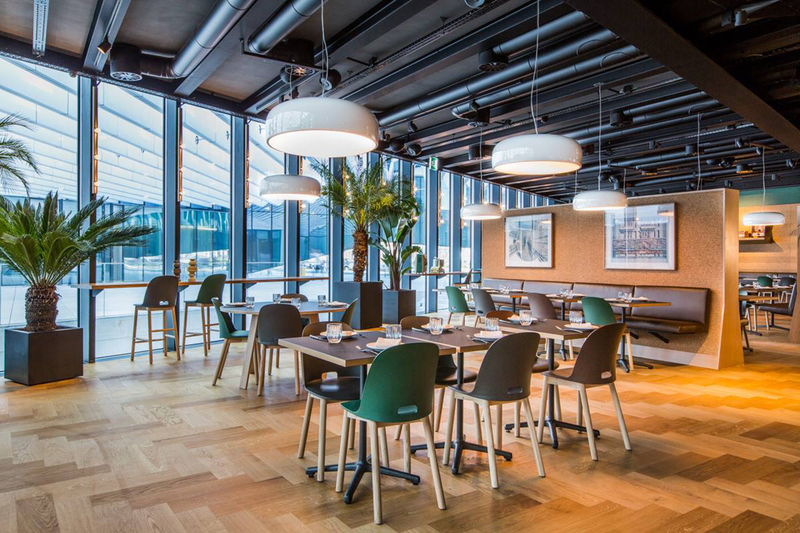 Starkly beautiful photographs of power stations by Edgar Martins decorate the walls, reflecting the restaurant’s location at electricity generator EDP’s headquarters. Chef Kiko Martins’ healthy menu features low fat, raw, grilled, steamed and smoked dishes. This former bakery, complete with original oven and traditional signage, is now a casual eatery from Michelin-starred local chef Henrique Sá Pessoa. The menu combines Spanish-style tapas with petiscos, the Portuguese equivalent. 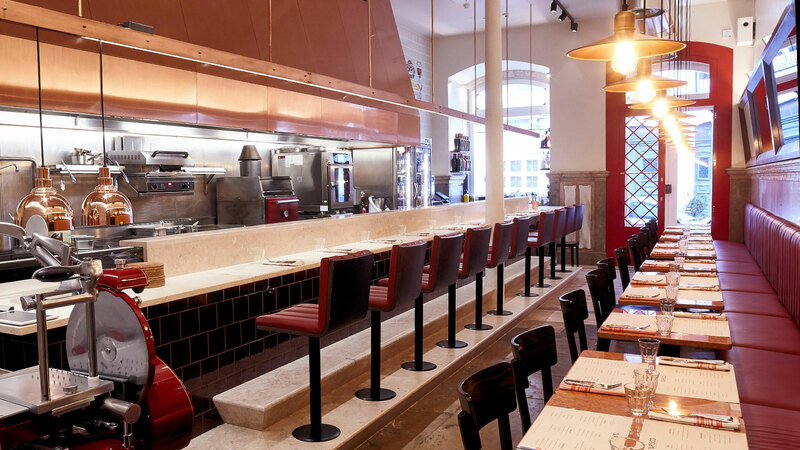 Brass lights, marble tables and red leather seating give the Lisbon restaurant a luxurious feel, despite its diminutive size. 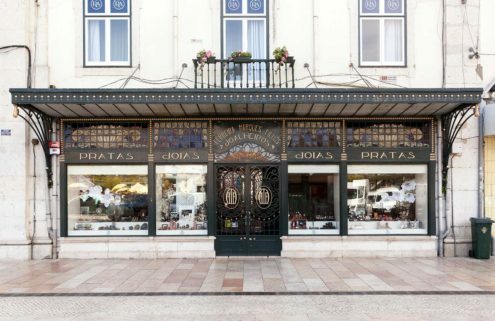 Set in a building dating from 1908 on one of Lisbon’s most architecturally interesting squares, this restaurant makes the most of the original architecture of the building, which is Flat Iron in style. 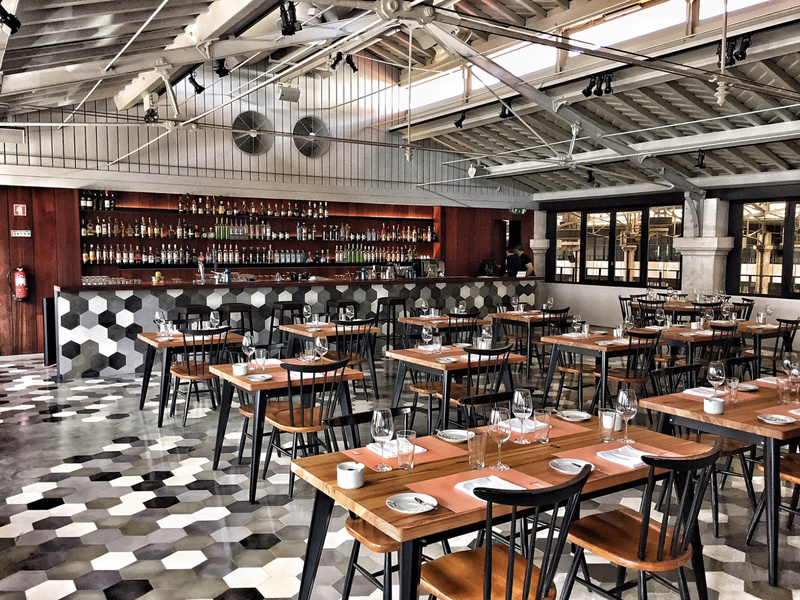 Tiled floors, metal details and vintage leather keep things modern, as does the menu, which features dishes inspired by Portugal and its former colonies. 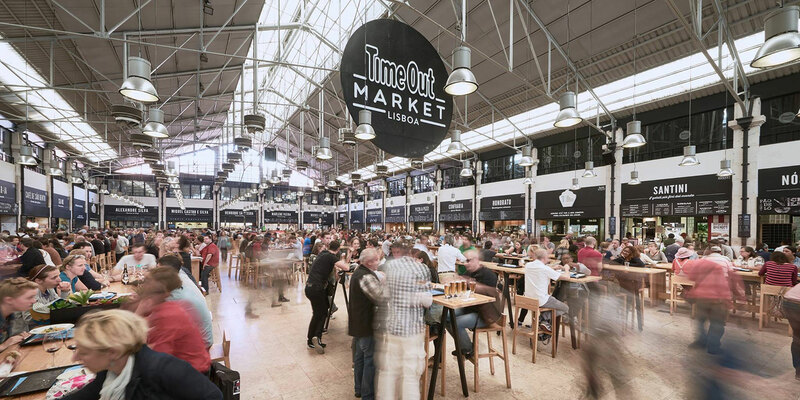 Lisbon’s riverside food market was struggling until a 2014 renovation saw one half converted into a vast dining space. 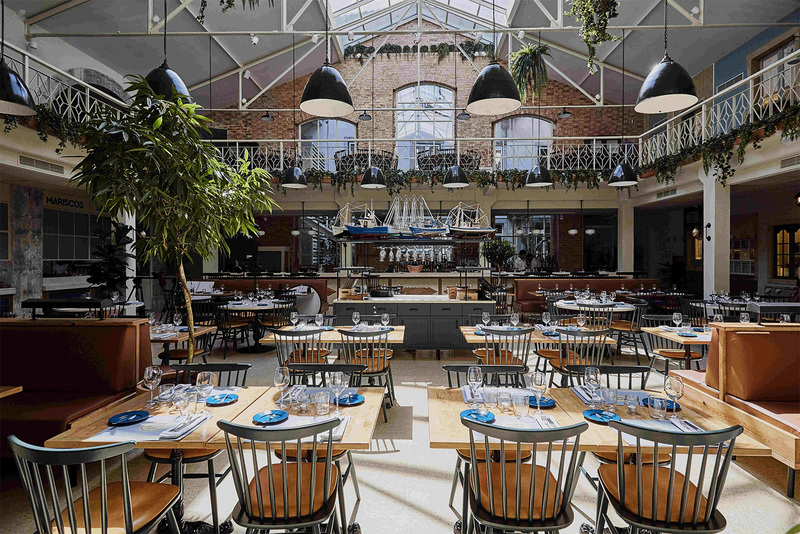 With high ceilings and long, bar-height tables designed for sharing, the market’s vibrant atmosphere reigns today. 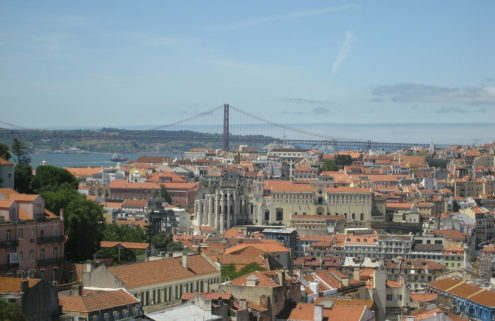 It’s great for groups as you can choose between offerings from many of Lisbon’s best chefs. If you want to linger over a longer lunch or dinner head upstairs from Mercado da Ribeira to Pap’Açôrda. 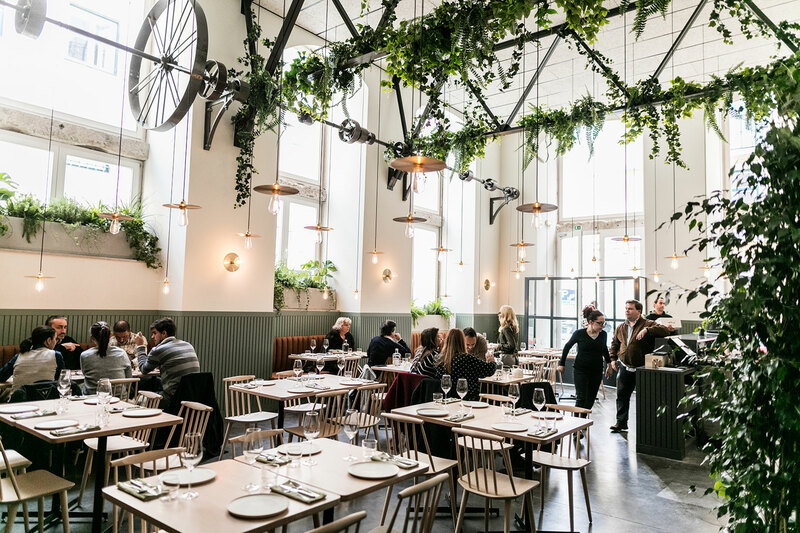 Founded in 1981, this contemporary take on a traditional tasca moved to its current location in 2016 and comes with interiors designed by Portuguese architects Aires Mateus. 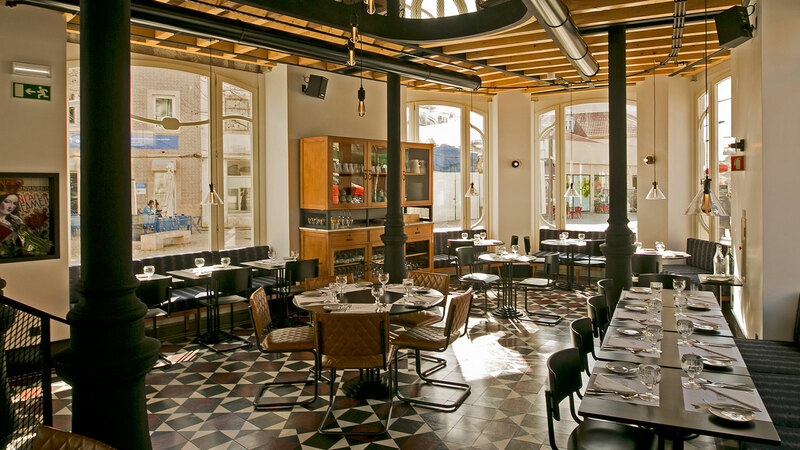 The iron struts of the restored industrial ceiling float above the Lisbon restaurant, which features monochrome tiled floors and wooden tables. 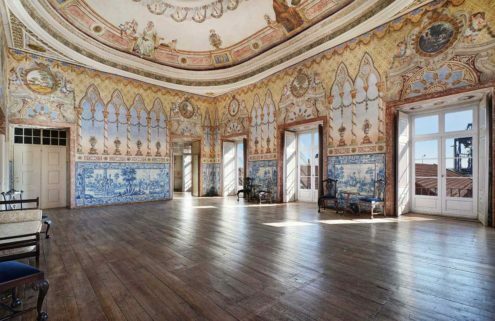 This 18th-century palace comes complete with ornate frescos and beautifully restored period details. 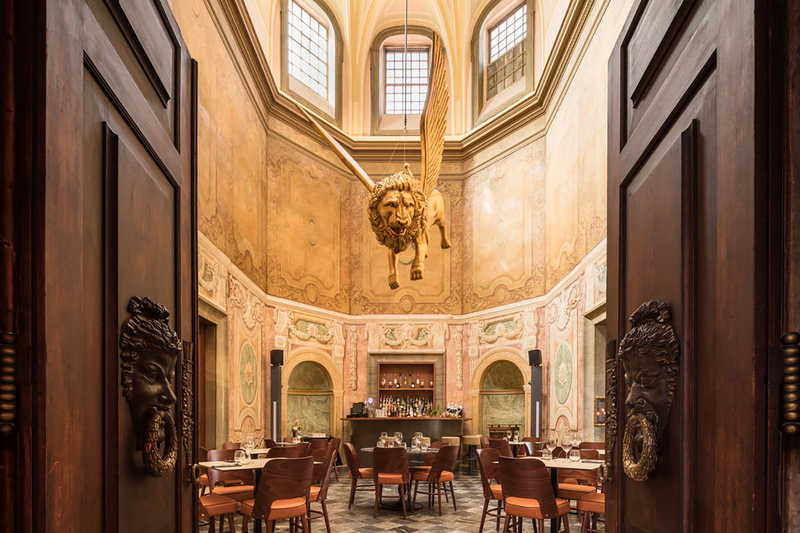 Skip the ground floor casual bar space and head upstairs for sushi, champagne and a deli bar, all decorated with restored antique frescos and – in one room – a golden flying lion. 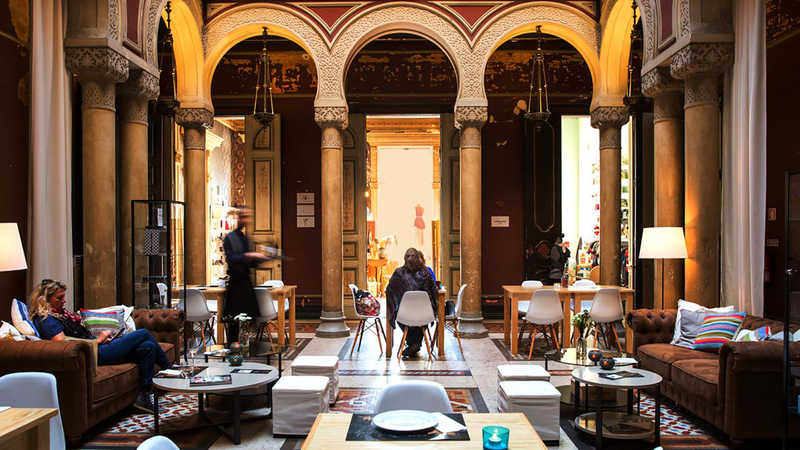 Blood red walls, soaring arches and a three-storey-high ceiling envelop this small restaurant, situated in the indoor courtyard of a converted palace that’s now upmarket shopping space Embaixada. Run by one of Portugal’s leading chefs, it’s one of the city’s best lunch spots. Right in the centre of town in what was the former Brazilian consulate building, Taberna Fina is headed by chef André Magalhães and serves a tasting menu of Portuguese dishes with unexpected twists. 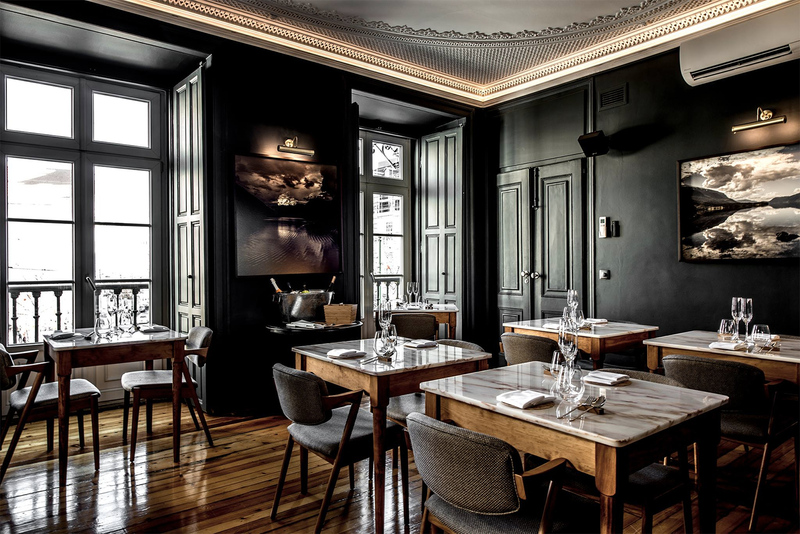 The Lisbon restaurant is cosy yet indulgent, with indigo coloured walls decorated with contemporary art, marble-topped tables and handmade crockery.